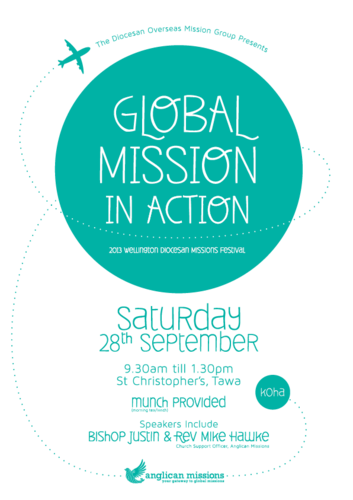 The Diocesan Overseas Mission Group is organising a Global Mission in Action Day on behalf of the Anglican Missions Board. This is an opportunity for Mission Motivators and other interested Parishioners to gather and be inspired regarding the Overseas Mission challenge for the whole church. During the Festival, all Parish Mission Motivators will be commissioned. Put the time aside,mark it in your diaries, come and enjoy the company, and go away with a renewed sense of God’s Mission to the Worldwide Church.